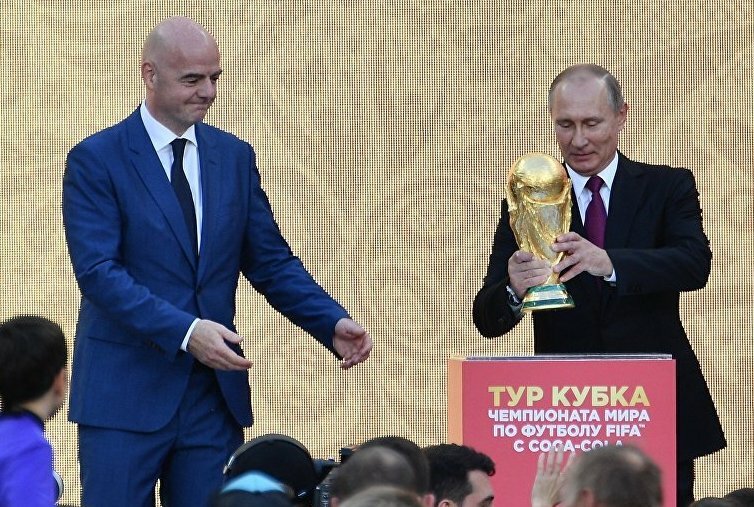 President Vladimir Putin on Friday welcomed football teams and fans from across the world to the World Cup, which begins in Russia next week, assuring that everything effort had been “to ensure that all of our guests… feel at home”. Russia has spent $13 billion on preparations for welcoming all the visitors to the big event which will take place in 11 cities in Russia’s west. Filmed under a blue sky in front of the Kremlin, he added: “We have done our best to ensure that all of our guests — the athletes, the staff and, of course, the fans — feel at home in Russia. We have opened both our country and our hearts to the world.”There was no indication when the interview was filmed, but Putin arrived in Beijing for a state visit to China on Friday.